Cequens is proud to announce teaming up with South African-based mobile telecom company, MTN, to add 5 new direct connectivity routes to its Premium Coverage. 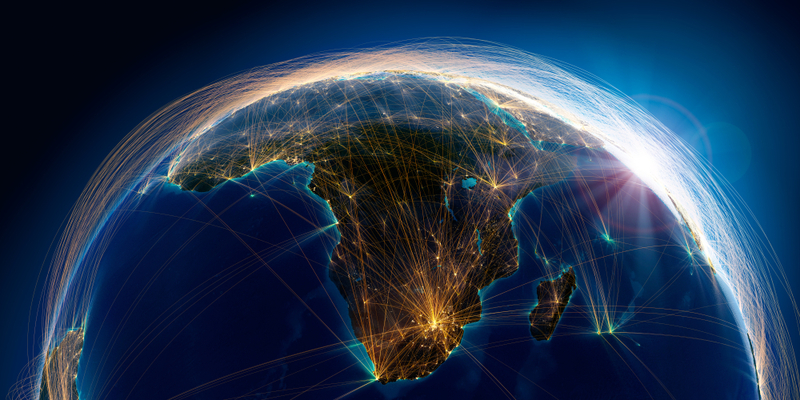 The new A2P SMS connectivity routes cover South Africa, Nigeria, Ivory Coast, Cameroon, and Ghana. In its strive towards strengthening its leading position and presence across the Middle East and Africa, Cequens is constantly working on closing partnerships and acquiring new direct connections with mobile network operators across the region. Cequens continues to provide unrivaled regional coverage and competitive reach to unlimited destinations and, on a regional scale, the Company boasts more than 80% coverage through mobile network operators. Cequens' Premium Coverage in Africa already includes direct connectivity in Egypt, Morocco, Tunisia, Kenya, Madagascar, Malawi, Rwanda, Tanzania, Uganda, Zambia, Chad, DR Congo, Gabon, Botswana, Mali, Niger, and Senegal. In the Middle East, Cequens’ Premium Coverage comprises the United Arab Emirates, Kingdom of Saudi Arabia, Bahrain, Kuwait, Qatar, Jordan, and Turkey, among other countries. Powered by innovation and guided by a Cloud-First, Mobile-First, and AI-First approach, Cequens is on a mission to empower enterprises with the communication solutions they need for digital transformation. Cequens’ proprietary Communication Platform leverages the latest cloud technologies and features a comprehensive portfolio of omni-channel products and solutions that are industry-focused, agile, scalable and cost-effective. As a leading CPaaS provider in the region, Cequens' international client base includes large public and private enterprises, public institutions and agencies, and mobile network operators and aggregators. Cequens also provides Managed Enterprise Services that are flexible by design and can adapt to ever- changing needs and requirements of various industries. Cequens handles significant traffic volumes for social networking platforms to facilitate, both, online and offline communications and enable end-users to keep up and stay in touch with their favorite social networks and content providers - regardless of internet connectivity. Cequens also specializes in high-priority OTP transmissions for account activation, verification and recovery.